It’s very interesting to note that the most recent Crohns and Colitis Foundation research includes finding a suitable model to be able to ‘rate’ patients with IBD on a continuum of severity so that they would not necessarily be subjected to harsh drugs if their condition was not that severe. To me, this is the way of the future. Yes, if a person suffering with Crohns or Colitis is dangerously ill, then it would be appropriate to use immuno suppressant drug therapy. However, if it is mild, then why not start with dietary modifications and nutritional supplementation first? The late Elaine Gottschall remains a pioneer in her time. Imagine that she treated her daughter who had Ulcerative Colitis with diet alone so many years ago, long before we had the research and knowledge available to support her actions. The Specific Carbohydrate Diet (SCD) is a dietary program that has helped to create, as well as maintain, drug-free remission for thousands of people suffering with Inflammatory Bowel Disease. Actually, to start off it was developed in 1951 by Dr Sidney Hass M.D., gastroenterologist and then it was later popularized by Gottschall, who was a biochemist, in her book called ‘Breaking the Vicious Cycle’. Not only are food choices very important to those challenged with digestive issues, but healthy food choices for every one on a daily basis, affects your health. It affect how you feel today, how you feel tomorrow, and how you feel in the future. Dr Oz is a great advocate for investigating healthy eating options. He interviews Dr Mark Hyman MD on a regular basis. Both are staunch believers in how important diet is. When you combine it with physical activity, your diet can help you reach and maintain a healthy weight, lower your risk of chronic diseases … be it digestive conditions, heart disease or cancer, ….and generally promote overall optimal health. We know that unhealthy eating habits have led to an obesity epidemic in the United States. Did you know that about one-third of U.S. adults (33.8%) are obese and approximately 17% (or 12.5 million) of children and adolescents aged 2—19 years are obese? What’s more, they have found that even when people maintain a healthy weight, a poor diet can be linked to and associated with many health risks leading to illness and even death. We can name heart disease, hypertension (high blood pressure), Type 2 diabetes, osteoporosis, and certain types of cancer to be included in this list. So by making good food choices, you will protect yourself from these kinds of health challenges. Doesn’t this sound like it goes hand in hand with the thought behind the CCFA research of catogorizing patients with IBD on a continuum of severity and being able to give them a treatment plan that would, in fact, encourage their microbiome to heal? The humans microbiome pops up as popular subject matter in journals and gut research all over the place. It’s very exciting that, literally for the first time in history, we’re finally learning enough about the properties of the human microbiome to manage treatment more completely. We now know, for example, about the importance of strain diversity. We also know which strains actually survive stomach acids. We never knew this before. We even have detailed research to show that Lactobacillus acidophilus and Bifidus, which are prevalent strains in most probiotic formulas, are actually contraindicated for those people who have an overgrowth of bacteria in the Small Intestine. 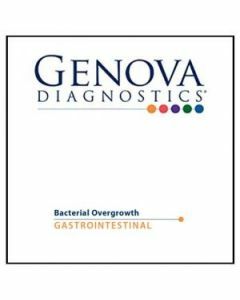 That’s why I like to recommend the Genova SIBO test to my patients. It allows me to select the appropriate prebiotic and probiotic formulas as well as other supportive digestive supportive supplements for them, specifically, when the SIBO test is positive. A few weeks ago, I listened to the ‘Healing Your Gut Summit’. They interviewed StevenWright, a staunch advocate of the SCD diet. His personal story of how he healed himself of IBS incorporating the SCD was fascinating to hear. Several doctors had diagnosed him with IBS. He tried over the counter pills, high fiber, and different diets. His introductory diet experience with the Specific Carbohydrate Diet was successful and he saw results really fast. It took him 3 months to get through all the phases.